Alzheimer’s is a devastating disease that affects nearly six million people in the United States. Researchers have been trying for decades to gain a deeper understanding of this condition and what causes it, but most of their efforts have yielded little success. A recent breakthrough, however, is shedding light on the potential cause of Alzheimer’s. It may be directly related to gum disease. Let’s take a closer look at the research and what it may mean for you. Most people could use an extra boost of energy this time of year. Whether you’re trying to power through your income taxes, work off all the calories you consumed during the holidays, or find the strength to cope with gray winter skies, an energy drink might seem like just what you need. But before you head to the grocery store to pick up one of these beverages, take a moment to reflect on how it could affect your smile. As your dentist in Creve Coeur explains, the following sports and energy drinks can have devastating consequences for your oral health. For most people the last few months of the year are, without a doubt, the busiest months of the year. The holiday season is a time for dinner parties, family, friends, and volunteering. With the focus being placed on others, rather than oneself, it comes as no surprise that dental appointments do not make it on the daily check list; however, it is best to use it or lose it in Creve Coeur when it comes to your insurance benefits. As a parent, nothing is more exciting than watching your child reach new stages of growth and development. While you see them learn how to roll over and sit up, you may be wondering when their front teeth should start coming in. In most cases, their first tooth should break through the surface around the age of 6 months. When this does not happen, it is normal to worry that there is something wrong. Often, there is a cause for the delayed eruption. Your children’s dentist in Creve Coeur will evaluate their developing smile to look for an underlying issue. As summer vacation comes to an end, now is the time to prepare for the school year ahead. While you buy school supplies and meet your child’s teacher, you may be overlooking one vital thing—their smile. As they head back to the classroom, here are a few simple back-to-school tips for young athletes in Creve Coeur. You’ve just welcomed a new member to your family — congratulations! Whether this is your first child or you’re already an experienced mother, adjusting to caring for your little bundle of joy can take some time. In all the wonderful chaos of looking after an infant, it can be easy to let some details, such as dental care, slip past your radar. That’s why your family dentist in Creve Coeur has put together this brief guide to oral health that will help breastfeeding moms and their little ones enjoy healthy smiles. Every year, Men’s National Health week is celebrated the week before Father’s Day to raise awareness about the importance of proper health. In addition to eating a balanced diet and exercising regularly, there is another issue that can impact their well-being—their oral health. Now is the perfect time for men to brush up on their oral health needs while taking the time to schedule a dental cleaning in Creve Coeur. Although your home oral hygiene habits are important, it is only half of the care you need for a healthy smile. It is best to see your dentist twice a year for a cleaning and checkup. Unfortunately, one-third of Americans did not schedule a visit last year. Often, many delay their appointments due to fears and anxieties. These phobias often originate from the fear of pain. Now, many are turning to pain-free dentistry, but is it really possible? Due to new advancements, you can benefit from a comfortable experience—no matter if you need a root canal or a dental cleaning in Creve Coeur. How often do you find yourself hiding your teeth when you speak or take pictures? If the answer is more often than not, you probably do not like the appearance of your smile. You are not alone. In fact, it is estimated that 15-20% of adults are dissatisfied with how their teeth look. You do not have to live with your insecurities. 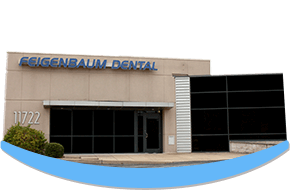 You can reinvent your smile with your dentist in Creve Coeur. With a smile makeover, your imperfections will be resolved to leave you feeling confident and beautiful.